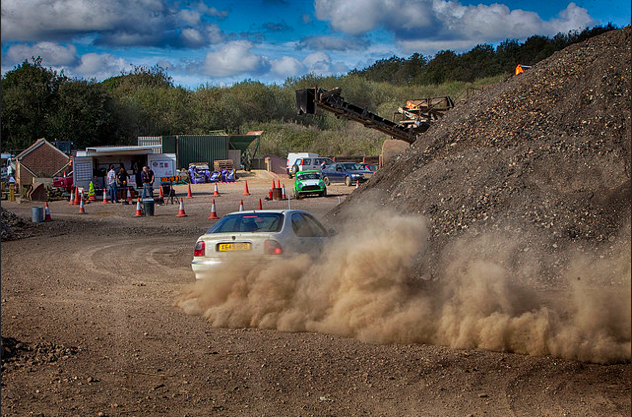 The last round of the Isle of Wight car club unsealed surface season was held at Knighton sand pit. 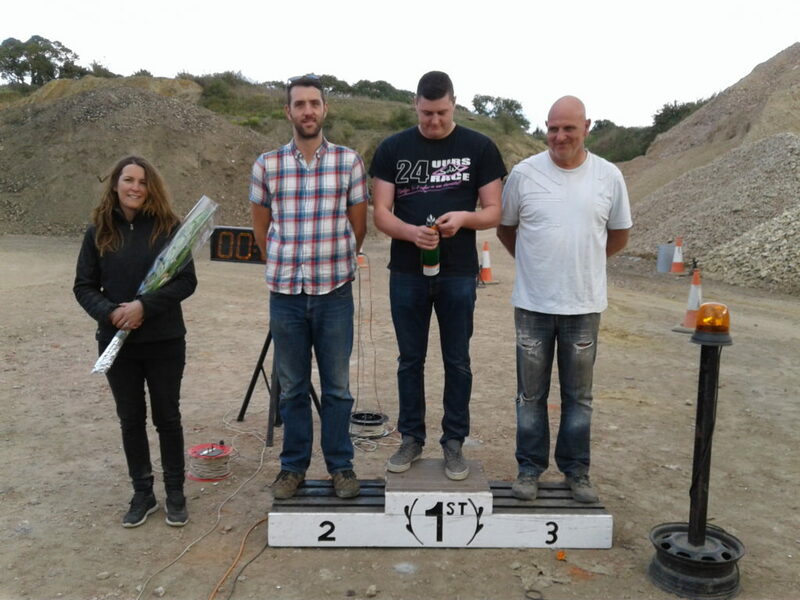 Chris Wilson had more points than he needed to be crowned the USS champion of 2016, however, this was not going to stop him from attempting to win all 4 Knighton events of the season. There are trophies for the overall USS championship as well as for each class. It’s a bit complicated but basically there are 1st, 2nd and 3rd place trophies in each class up for grabs as long as there are enough competitors who have competed in a minimum number of events. Many of these class trophies had yet to be decided and almost all of the 17 competitors who attended this event were fighting to have their name engraved and immortalised in Isle of Wight car club history. This amazing venue requires drivers to be able to navigate a mix of terrain, unlike the previous event at Atherfield where times are guaranteed to improve throughout the day. Being an active sand quarry the ground is covered in small stones and this makes the first few runs like driving on an ice rink, on the flip side, the sand sections are smooth and grippy. However, as the day progresses the stones get brushed away with each car but the sand section becomes slow and rutted. In class one Steve Glass was trying as hard as he could to stay close to the time posted by Ricky Sheppard, however, Ricky and his Rover 45 seem to have some form of symbiosis as not only was he uncatchable in class 1, he finished 6th place over all. Class 2 consisted of 2 MX5s driven by 6 drivers, Dean Long is a master of controlling these cars and finished at the top of class 2 and 5th place overall. 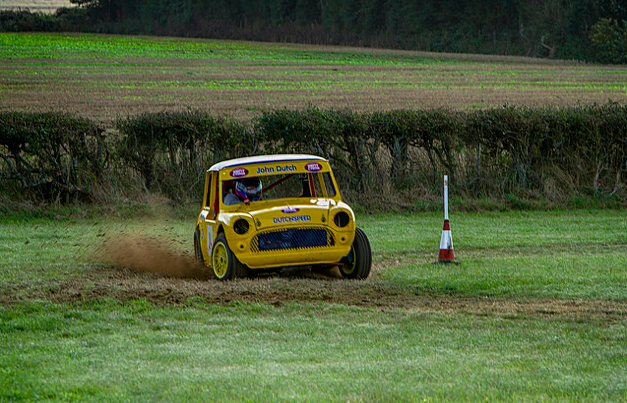 Class 3 had Marion and Steve Brett battling against Dan Young in their classic Minis. 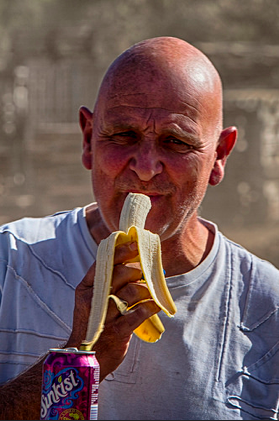 Dan initially struggled to remember the course but once he knew where he was going there was no stopping him. Dan finished top of class 3 and 8th place overall. 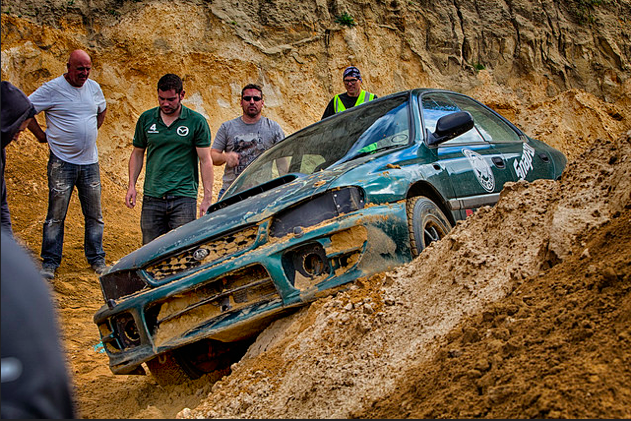 All wheel drive Subaru Imprezas were the weapon of choice in class 4. These cars may have the power and grip but threading these large cars through the cones requires a special kind of driver. Steve wells scuppered his chances by taking too tight a line around one of the sand piles and getting his car that he shares with Jill broomfield stuck, luckily not before Jill posted a time quick enough to clame the fastest lady of the day award. Dan Morgan however kept all 4 wheels on the track and stood on the second step of the podium at the day’s close. Class 5 is for cars that don’t fit into any of the other classes. Chris Wilson and Andy Williams were sharing their single seater ex Autograss special. All seemed lost when mid-way through the day Chris Wilson launched his special off the start line but instantly broke his throttle cable. To many other competitors this would have meant disaster, however, Andy and Chris know from bitter experience that a good spares package can save the day. Once the spare throttle cable was fitted both were fighting for the top spot. With such quick times on their 5th run, there was no need to go out on their 6th, Andy was content with 3rd place overall and Chris took the top step on the podium. With Chris winning every round held at this venue this year he truly is the King of Knighton. Thanks to the success of the clubs try a new motorsport event in 2016 at Gurston Down Hill Climb, we have been invited back with the intention of making this an annual IOWCC fixture. Taking part in a hill climb event requires a little more prperation than taking part in a IOWCC event, you will need an MSA licence (no test just fill in a form and pay), a pair of race overalls, gloves and helmet (these have to meet regs so check first before buying) and a car that is safe. A quick note on the cars – standard cars can run as they are with only a few safety sitckers, however, modified cars may require additionl safety equipment. We will hold a meeting and a car prep workshop leading up to this event early 2017 so that any questions can be answered and you will have plenty of time to prep both yourself and your car for this event. Go on, have a go at hill climbing in 2017. 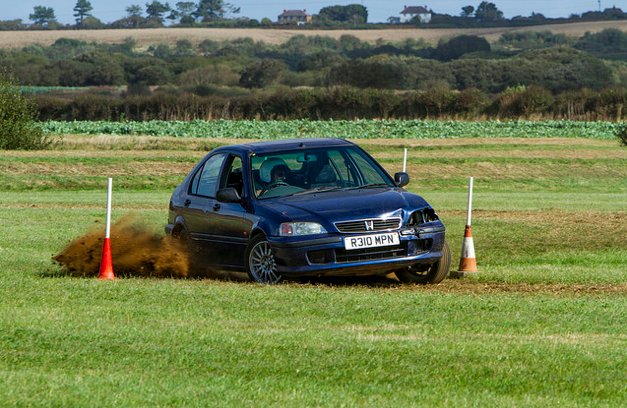 Only 21 drivers entered round 10 of the Isle of Wight Car Club’s unsealed surface event at Atherfield. Disappointing in one respect, but it meant more championship points for those that turned up. Despite heavy rain over night the large open grass field was bone dry and stayed dry for a great day of grass roots motorsport. As usual the first few runs on this lush green grass are very slippery and many drivers use this as an excuse to practise their drifting. By run 2 Chris Wilson in his single seater special was knocking on the door of a sub minute run with a time of 1:00.05, not far behind was Steve Brett in his classic mini. Atherfield is unique in that as long as the weather holds out, run times drop very quickly as the day progresses. This is in part due to the drivers learning the course and driving faster, but also, as this field unlike Haslet farm is never ploughed, the grass wears away with each car, so the course becomes more and more tractable and unlike a ploughed filed the soil is hard and not prone to rutting. The down side of this is, if a driver deviates from the worn course, they will end up on that lush green grass and traction and steering will be lost. The class 1 battle was between Sue Mitchell, Steve Glass and Ricky Sheppard and as usual Ricky astounded everyone with his ability to pilot his beige Rover 45 round the course faster than many purpose built modified cars. Joe Charalmbous was competing against the Long family and the Richardson family, each in their respectively shared MX5s. Dean Long put his drifting skills to good use and claimed the top spot followed by his father Tony Long. Kevin Richardson was not far behind and was joined by his father Barry Richardson and new member younger brother David Richardson. Just as class 2 is monopolised by MX5s, class 3 seems to be the domain of the classic mini. Dan Young almost did not make this event as he could not get his mini to start. But again the camaraderie of the club members came to the fore as drivers scrambled to get Dan on the track. After John Dutch diagnosed the issue as spark plugs, Dan was able to complete against Marion Brett and Steve Brett in the last 3 runs of the day. 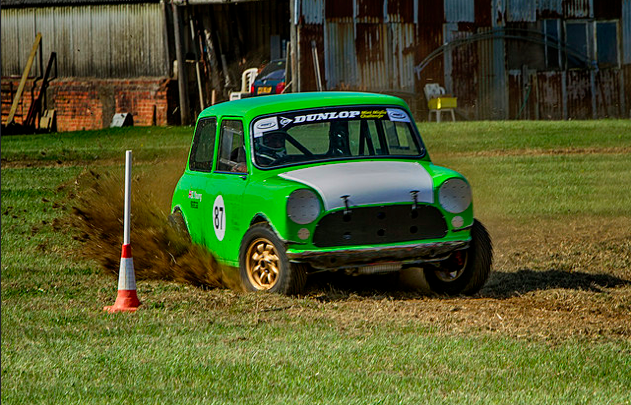 As with any new build there are going to be teething issues, however, already Dan’s mini is looking very competitive. 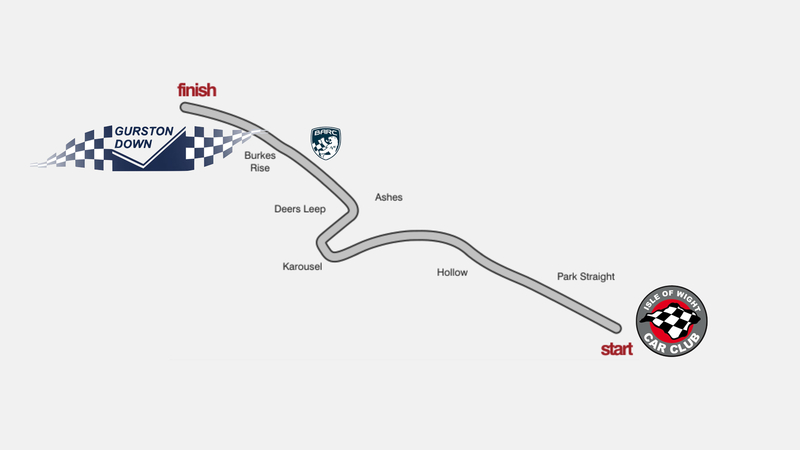 Class 4 is a genuine mix of RWD, FWD and AWD. 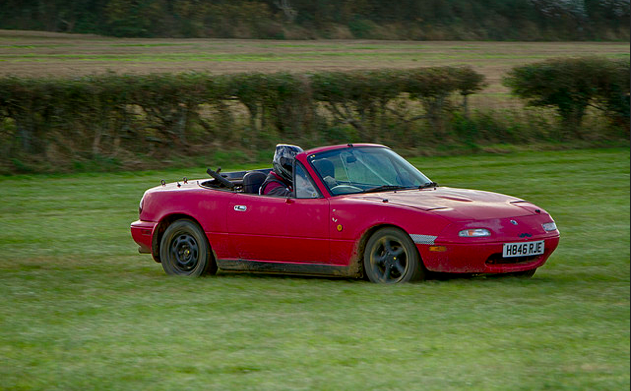 Brother and sister team of Tom and Kelly Reed were campaigning their modified MX5, Mark Hill had his first off road event in his 205. Dan Morgan as always was using his Impreza to good effect and Steve Wells was sharing his Impreza with new member Will Overton. 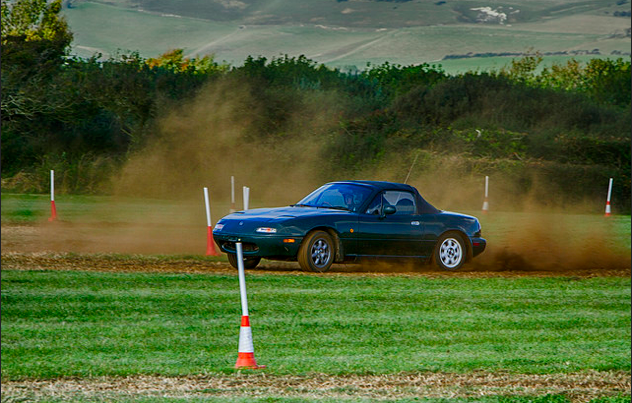 Will is no novice when it comes to driving off road but this event must have seem very tame to what he is used to. Will has recently come back from the USA, where he competed in the King of the Hammers event and finished an amazing 7th place overall. Class 5 is for cars that don’t fit into any of the other classes. John Dutch was back with a vengeance in his ex grasstrack classic mini and trading places with Andy Williams and the dominant Chris Wilson in their shared single seater special. 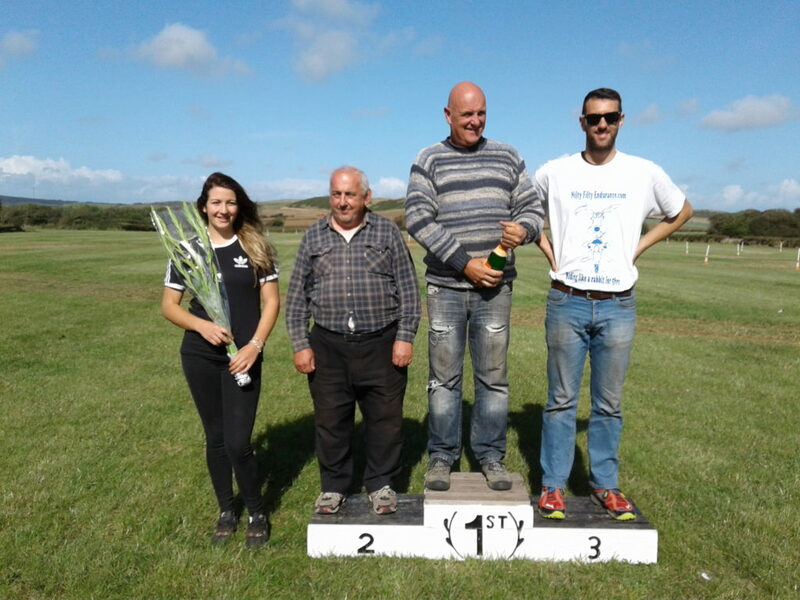 The battle between the ladies culminated in all 3 finishing next to each other in the results table, however, Kelly Reed was presented with the flowers for being the fastest lady of the day. At the events close only 4 tenths of a second separated the top 4, however, due to striking a cone on his last run Chris Wilson was demoted to 4th place allowing Dan Morgan to stand on the 3rd step of the podium. John Dutch just missed out on the top step by only 7 100ths of a second and was so pleased with his result, he refused to run away from the champagne sprayed by event winner Andy Williams. Despite Chris Wilson not getting onto the podium, it was smiles all round as with 4th place Chris now has enough points in the bag to be crowned the USS Champion of 2016 at the next round. 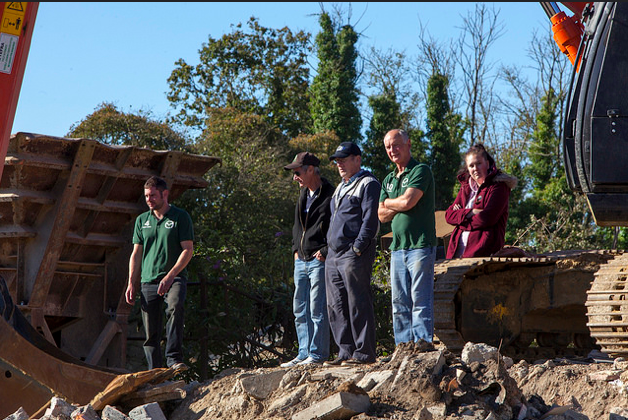 The next and final unsealed surface event will be held at Knighton Sandpit on the 9th of October.